I began writing this little blog of mine almost a year and a half ago. I knew very little about diabetes, or what was going on out there in the diabetes community at the time. I wasn’t a very “switched on” patient. I used to shy away from my diabetes a lot. I can’t even say that I was very interested. It’s been quite a journey for me, writing this blog. As Georgie pointed out last week, I look back at some of my old posts and I see how much my attitude towards my diabetes has developed. I am so much more passionate about diabetes today. I am so much more motivated to do better. I know exactly what I want from my diabetes team, and I fight for it. I’m getting started on an insulin pump today, and I can’t imagine that I would have had the courage or motivation to do it if I weren’t a part of this community. I am here in the diabetes blog space, because it is something that genuinely interests me. Writing this blog has helped me enormously in dealing with my own diabetes. Sometimes it’s there as a way to express what’s on my mind. Other times it’s there simply as a way to get my point of view out there when I see something I don’t agree with. Blogging keeps me grounded and focussed in my efforts with my own diabetes. 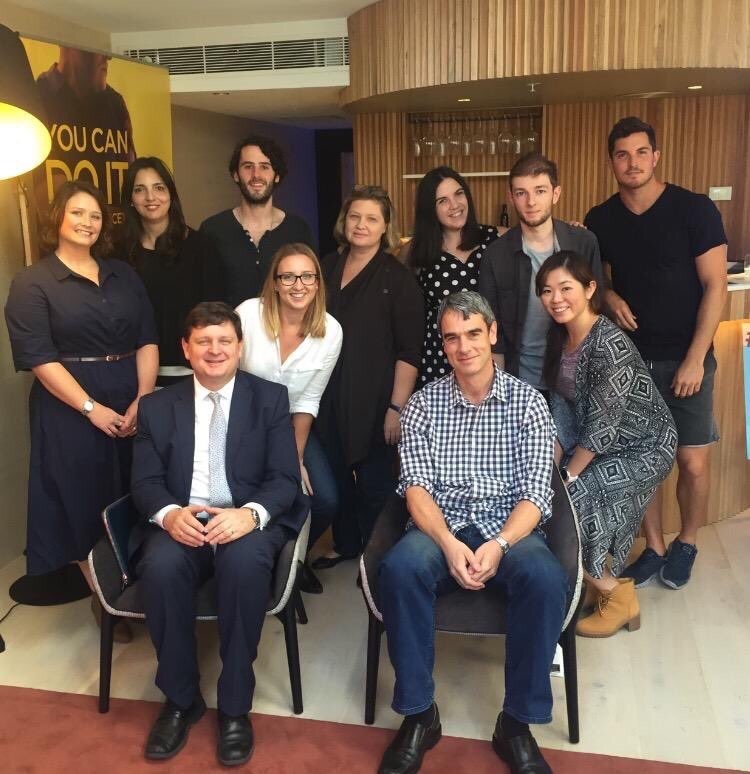 Last week, I had the privilege of spending 2 days with a group of Australian diabetes bloggers at Abbott’s Diabetes Exchange event in Sydney. Disclosures can be found ﻿here﻿. We all came from different areas of the country. We were all diagnosed at varying points in our respective lives. Some people had decades of diabetes experience, while others had only a couple of years. Some people used insulin pumps, others were on injections, and one used an inhaled form of insulin. Some people worked in the diabetes space, while others were simply consumer advocates. Some knew each other in real life, while others were meeting for the first time. Some people selected the toast and the muesli that was served at the breakfast buffet, while others opted for the fruit and the eggs. Even though all of us in the room had diabetes, we were all different. We all had different opinions. We all employed different tools and methods in order to manage our diabetes. We all added different issues to the conversation that reflected what we each felt most strongly about. Yet we were all able to sit in the room together for 2 days without murdering each other. We were all able to engage in a healthy conversation. We were able to contribute our different points of view, while listening and being respectful of others who might have a different one. We were able to sit together at the dinner table on Thursday night until the lights were switched out and the hotel staff had closed up for the night. We were able to prepare and share a meal together at the Sydney Fish Market on Friday afternoon. We were able to Tweet at each other throughout the conference, even though we were literally sitting next to each other. No two people’s diabetes are the same. The way I manage my diabetes is not necessarily any more correct than the way in which you manage yours. I try my best to be mindful of this as I write here, and in the way that I conduct myself online. If the Diabetes Exchange event in Sydney last week was anything to go by, I believe that we can each manage our own diabetes, while being friends at the same time. To read other posts related to today’s prompt, click here. Side note: Thank you to Hannah and Laura for putting together a fantastic blogger event in Sydney last week. Thank you to the Abbott team for your hospitality and for the privilege of allowing me to be a part of the Diabetes Exchange program. And to the bloggers, it was an honour to meet you all in person. Good luck with your insulin pump today. Look forward to hearing about it. I absolutely love this post Frank. It really drives home that every one is individual message that I love. And happy pump day! You’ll be great! It’s a great trait to be able to reflect on how you’ve changed. And as above, pump day! Best wishes with it, take your time and I hope it’s a good fit for you. I “met” you last year during DBW and it’s been great watching your blog and voice grow stronger during the past 12 months. Keep up the good work, Frank! Sounds like it was a great event! I love hearing about diabetes get togethers! Thanks for sharing! Congratulations and best of luck with your new pump. I love to hear about your journey because I can really relate. And I’m so glad you’re here! What a great post! I wish everyone could get along that well. Thanks for writing! That is an impossibly good looking group! My favorite quote from this post is “we all were able to sit in a room for 2 days without murdering each other.” So glad you survived that one :). I just love my Onmipod and was wondering when I would read your posts over this past year if the pump would be a good fit for you. I look forward to reading your thoughts on pumping. Best of luck and happy Diabetes Blog Week 2016! I’m glad you’re in the diabetes blogging world Frank. I enjoy your posts.